Roadrunner Remodeling performed its 500th job! 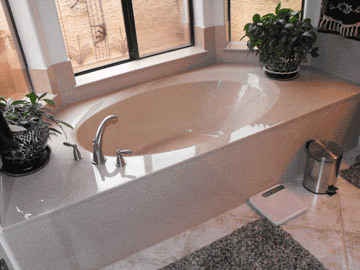 For over 17 years Roadrunner Custom Remodeling, Inc. has been providing Fountain Hills, Scottsdale and the East Valley with premier custom Bathroom Remodeling Services and Kitchen Remodeling Services. We are locally owned and operated, and we take pride in our quality remodeling services and the relationships that we are able to build with our customers. We are dependable, honest and will make sure you get exactly what you want quickly. We also keep most aspects of the job in-house and only perform ONE JOB AT A TIME to ensure our level of excellence is consistent. 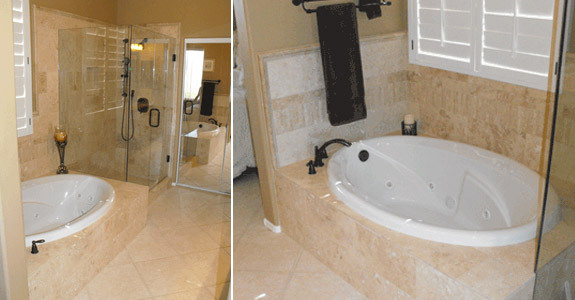 The end result is high quality remodeling services done right. At Roadrunner Custom Remodeling, Inc. we specialize in a variety of quality remodeling services including all aspects of bathroom remodeling and kitchen remodeling. We do it all from demo to painting. We install showers, cabinetry, countertops, plumbing fixtures, flooring, lighting and more! We only use quality products to ensure our customers get quality remodeling done right. If you are looking for high quality remodeling services the 1st time by a professional remodeling company then look no further than Roadrunner Custom Remodeling, Inc. We are available during normal business hours by phone but you can always check us out online! We are a small dedicated crew of skilled trades men and we keep it that way to keep our quality remodeling the same each time, so our availability is limited. Call today to set up some time to get your dream kitchen or bathroom underway! We endeavor to establish and maintain integrity and trust in the remodeling industry by providing knowledgeable salespeople, quality craftsmanship, superior service, and professional management to achieve a “family” of satisfied clients.